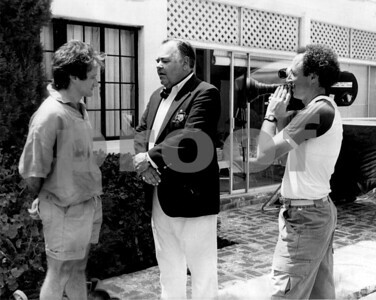 Robin Williams and Jonathan Winters being filmed by Chuck Cohen for the 60-Minutes profile of Robin. 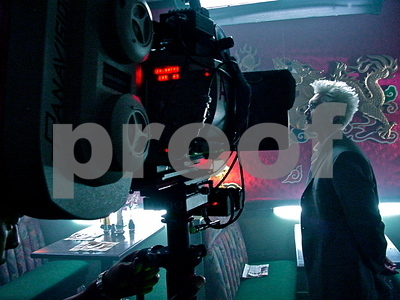 This image was taken during filming at Mr. Winters home in backyard by his tennis court. 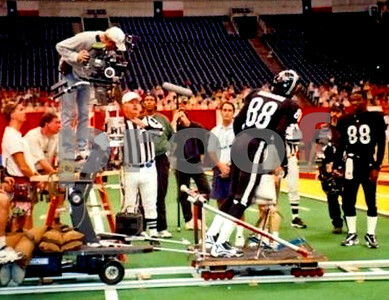 Chuck is shooting with his Aaton 16mm film camera. 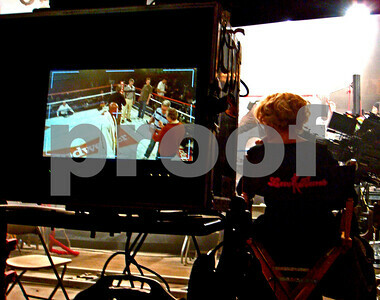 Helen Mirren on the set of Love Ranch on which Director Taylor Hackford brought Chuck in to help shoot the boxing sequnces. 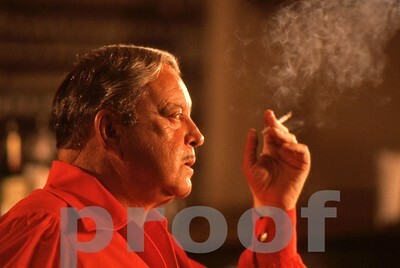 The Great One, Jackie Gleason, shot August 1984 at his Florida home by Chuck Cohen, who was filming a 60-Minutes profile of him with correspondent Morley Safer. 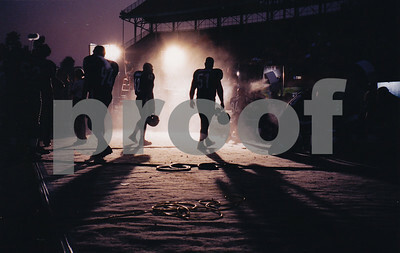 You can view more images of Jackie Gleason in his own gallery on this website. 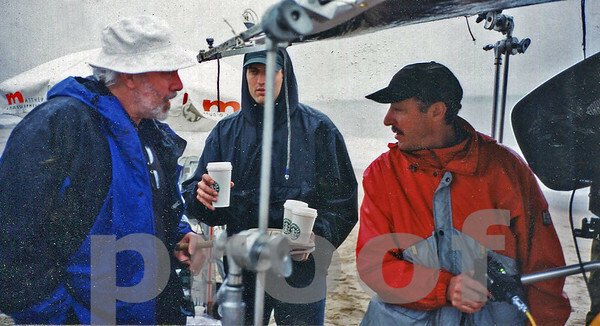 Robert Towne, screenwriter/director, discusses a shot with 2nd Unit DP Chuck Cohen on the set of Without Limits. 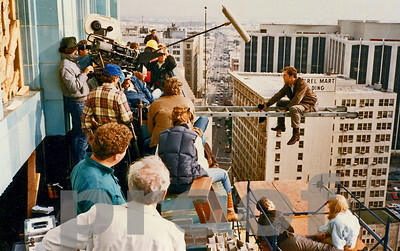 Bruce Willis sits on ladder on location in downtown Los Angeles during filming of the MOONLIGHTING TV Series Pilot. 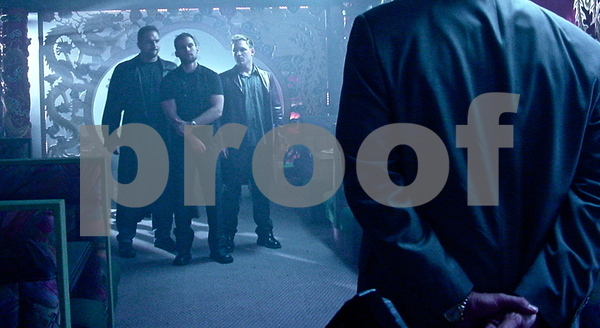 Chuck Cohen camera operates on left side of image. August, 1984. 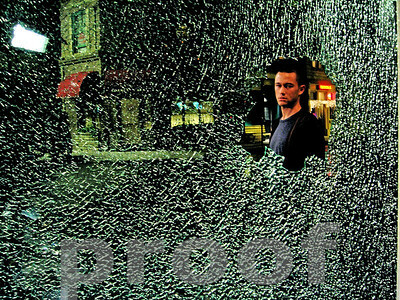 Joseph Gordon Levitt during a scene from the feature film Stop-Loss on which Chuck was DP of Additional Photography scenes, including this one, when his character got drunk and threw a beer bottle through a jewelry store window while his buddies tried to calm him down. 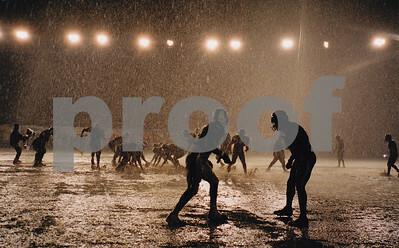 Any Given Sunday rain sequence. 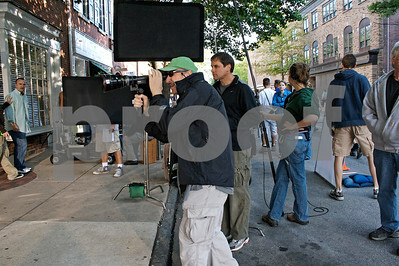 You can see my steadi-cam operator behind the running back on the left of frame. He will follow the RB through the line. 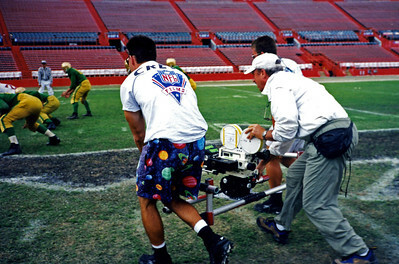 Chuck Cohen, 2nd Unit Director of Photography, operates a tough dolly shot for the movie The Waterboy as Ron Vargas, his first assistant, pulls focus. 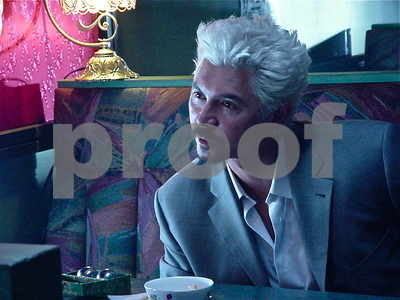 Actor Lou Diamond Phillips, who plays a mob boss, in a "China Town" restaurant scene from feature Stark Raving Mad, Chuck Cohen-DP. 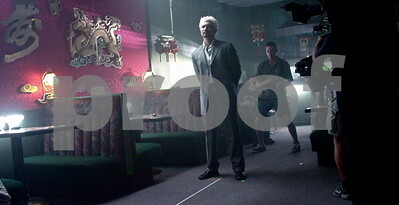 Filmed in Vancouver. 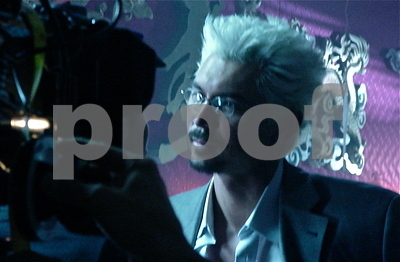 Craziness of the rave dance scene, Stark Raving Mad feature film. 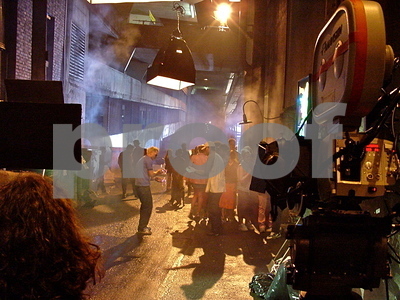 Night Exterior of rave concert scene from the film STARK RAVING MAD, filmed in Vancouver. 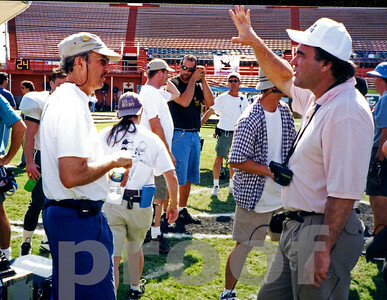 Chuck Cohen, 2nd Unit Director of Photography, operates a shot on the movie Any Given Sunday, in Dallas Cowboys' Texas Stadium. Muhammad Ali clowns around with Chuck Cohen, in his backyard in Hancock Park, Los Angeles, 1980. 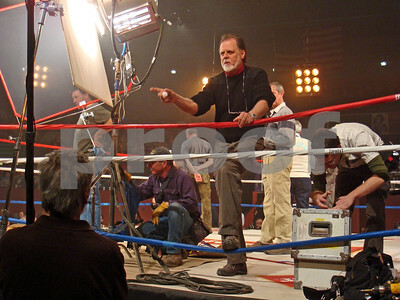 Chuck was shooting a documentary on Ali for German TV. This was the first week of workouts for his comeback Title fight with Larry Holmes, after a 2-year layoff. Ali would lose in an attempt to win the Title for the 4th time. Joey Lauren Adams from the feature film IN THE SHADOWS...she co-stars with James Caan, Mathew Modine and Cuba Gooding Jr. 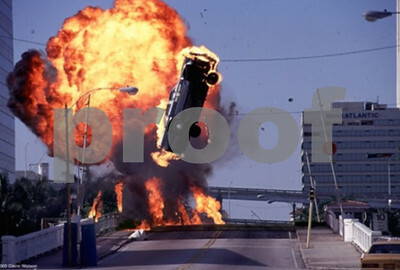 This pipe-ramp stunt was filmed for the feature IN THE SHADOWS with James Caan, Cuba Gooding Jr, Joey Lauren Adams and Matt Modine, on which Chuck Cohen was the Director of Photography. 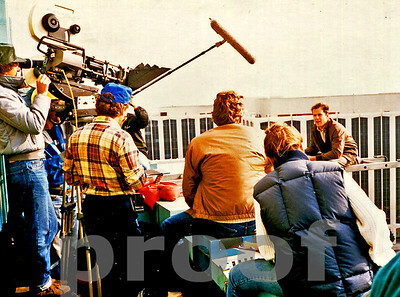 The car sailed 60 yds in the air while spinning 3 complete revolutions before crash landing with stuntman Hugh O'Brien inside. 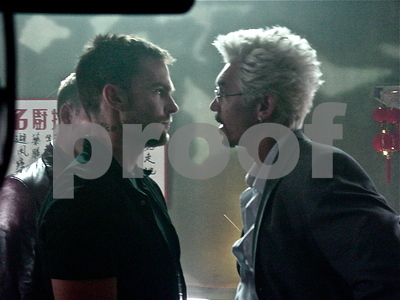 Hugh walked away unscathed! 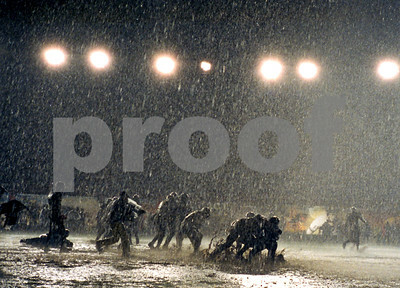 Film was shot in Miami Beach.